Straight hair is one of the most difficult types to style and get to hold any sort of style. Yet, no guy wants to go out in public with his hair hanging limply around his head like a mop head. That is why we are going to give you some advice on how to curl your straight hair. There are basically three methods of curling straight hair. Each lasts for a different length of time, so which one you use will depend on how long you want the particular hair style you plan to wear to last. The three methods of curling hair are the use of a curling iron, curlers, and getting a permanent. For a lot of men, using a curling iron or curlers sounds a bit girly, but if you want to put some curl into your hair, it has to be done somehow. A curling iron is probably the easiest tool to use to curl straight hair temporarily. It uses heat and the twisting motion imparted to put a curl into the hair that can be held with mousse or hairspray. You have more control over where the curls are located and how they fall when you use a curling iron. Curlers can be used to create curls over a wide area of the head. If the style is just for the night, applying the curlers to damp hair and removing them once dry will impart curls that can be held with a small amount of gel or mousse or a generous spritz of hairspray. If you want the curls to last longer, you can use hot curlers and a small amount of oil that goes with them to impart curls that will likely last three or four days. 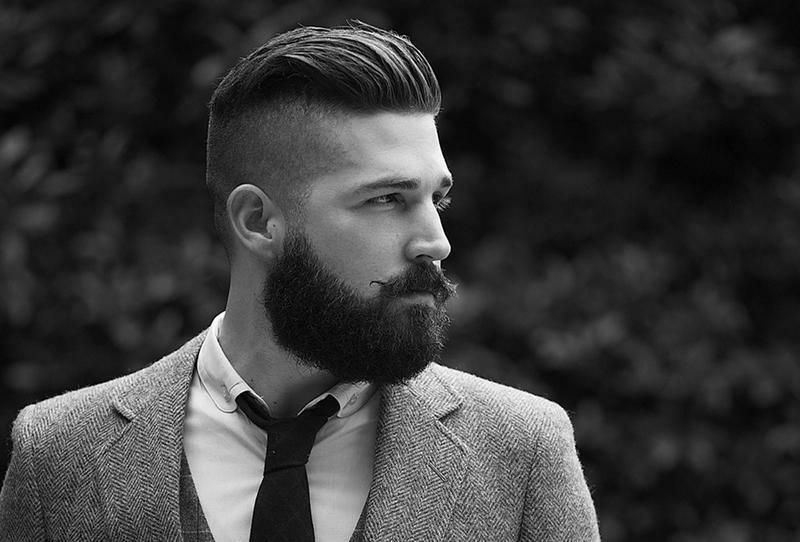 The final method, and the best one for men with shorter hairstyles, is to have a permanent put into the hair. This will impart curls that last for weeks, even if the hairstyle is changed slightly from day to day. By varying the amount of time the chemicals are left on the hair, you can control the amount of curl that is imparted. Using different sizes of rollers while applying the perm will also affect the degree of curl. Despite the name, permanent, this method will eventually relax and return one to straight hair. The process can be hastened by repeated washing if so desired. Using curling iron or curlers leaves the hair in a condition that a single wash can remove the curl. Use a Thin flatiron is the best way to get naturally wavy short hair. Always after shower,I take mousse,blow my hair with roundbrush,It give beginning to wavy hair,after that,use a flat iron,maximum 10 mm to finish the result.Last take hairspray for maximum hold. For maximum rersult,use good schampoo,mousse and hairspray,Personally,I like hard dry hairspray.